As a huge Harry Potter fan who just recently visited Harry Potter World for the first time, it was really tough for me to not buy every piece of Harry Potter attire I possibly could at the gift shop. I managed to restrain myself pretty admirably, I thought, but these Harry Potter-themed clothes and accessories are really tempting me. 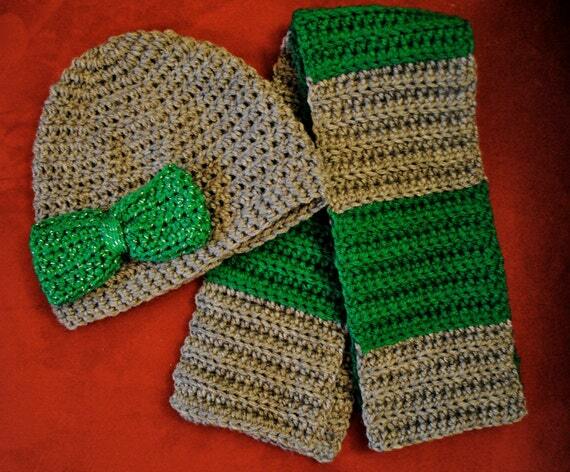 Put a bow on something and there’s a good chance you’ll get me to buy it. I’d even be tempted to buy the Slytherin set because the green is so pretty. The last thing we need in this house is more mugs—we can’t even fit all the mugs we have in our cabinet and we don’t even drink coffee. But between the “espresso patronum” joke on the outside and the reference to Ron seeing the Grim in Harry’s tea leaves on the inside, this is a hard one to pass up. This looks adorable and sooooo comfortable. Want. Especially because winter in South Carolina is much colder than I expected (though not nearly as cold as some people down here seem to think it is). 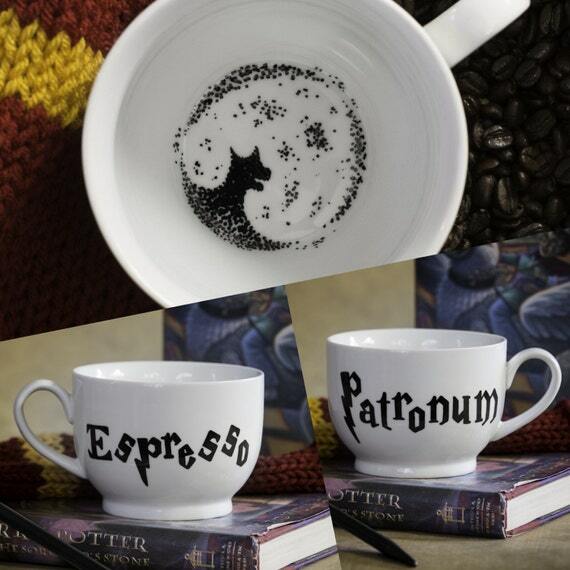 I’m gonna need an espresso patronum mug, stat. Your blog is truly wonderful–there are a surprising number of Army wife book nerds out there. 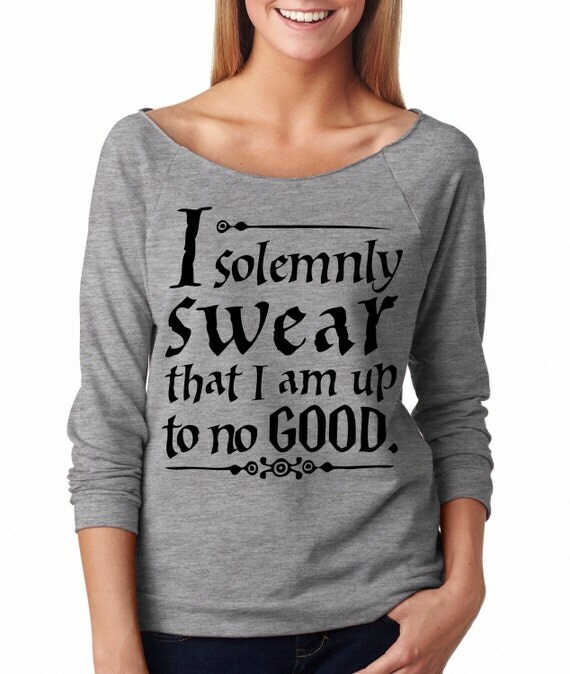 And Army wife Harry Potter nerds. We must all find each other and form an Order of the Phoenix. Or, you know, and Order of the Oxford Comma…depending on your side of that debate. I’m slacking on reading your posts, but looking forward to a lazy weekend of catching up. Keep ’em coming! I run a small military wife (and community member) book club out of Presidio of Monterey, and I’ll definitely be searching through your reviews for suggestions. We’re all over the place with subject matter and genre (like, from “Grapes of Wrath” to “If I stay”–gag–to “Middlesex” to Neil Gaiman), so if you have any suggestions for an eclectic group of MilSos, please feel free to recommend! Thank you! I am strongly pro-Oxford comma 😉 so I would totally be up for that. If you do a Neil Gaiman you HAVE to do The Ocean at the End of the Lane if you haven’t already. It’s amazing. I’ve also read Neverwhere and I liked it, but not as much as I liked Ocean. And of course I’ve read Jeffrey Eugenides’ other two novels, but haven’t gotten to Middlesex yet, so I can’t weigh in on that one (or the other two, actually, but based on what I know about it I agree with your feelings on If I Stay). I know, right? I drink neither espresso nor coffee nor really any drink that would normally go in a mug unless all my glasses are dirty and I STILL WANT IT.